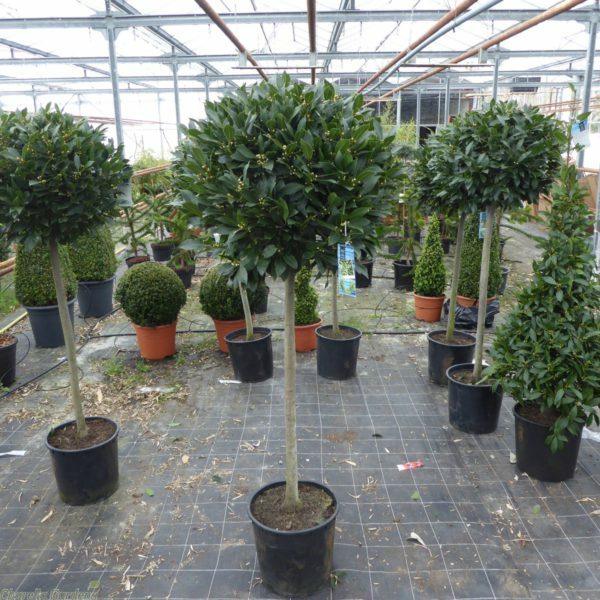 With its lustrous, dark green leaves, this evergreen bay laurel standard makes a feature plant almost anywhere in the garden or planted in a smart contemporary pot either side of a doorway, will frame an entrance. Clippings of the aromatic leaves are valuable, fresh or dried, for flavouring savoury stocks and sauces. It is pretty tolerant of most conditions, provided it is sheltered from strong, cold winds, and is not kept too wet in winter. 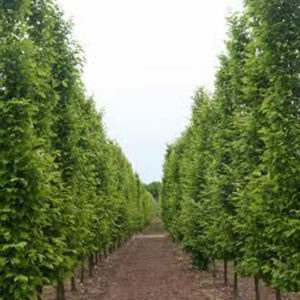 Tags: bay laurel, half standard, Laurus nobilis, lollipop.